Earlier this week, China’s State Council announced plans to allow clinical trial data from other countries. As one of the largest pharmaceutical markets in the world, they are looking to bring in new, innovative therapies quicker. This comes on the heels of changes earlier this year known as the Reform Scheme of the Classification System for Registration of Chemical Drugs. Under this new Reform Scheme, the CFDA had redefined the classification of what is considered “new drugs” and what is “generic”. The new emphasis on clinical trial reform is not only to help bring in outside suppliers, but foster new and innovative growth in China. The changes proposed this week will serve to speed up the process of drug and device approvals and registrations. Government has made it a top priority to allow quicker access to more innovative therapies for patients. Previously, approvals in China meant a long and cumbersome clinical trial approval process to introduce drugs and devices already on the market in other countries. Under these new proposed changes, clinical trial data that is generated in other countries will be able to be submitted in some cases to prove safety and efficacy. This would enable pharmaceutical companies to dramatically reduce drug approval times by removing the need to replicate costly clinical trial data in China. One important factor in the use of pre-existing data is that it can show efficacy in the ethnic population it wishes to target, so therefore it is important that trial data can reflect this. 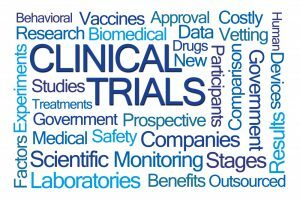 – management of clinical trials and investment in clinical trials at educational institutions, medical organizations, etc. The guideline also outlines the goal to engage more with the life science community globally. It aims to increasingly engage in the process of developing international standards and policies. Ultimately, it will be up to CFDA to develop the necessary initiatives to implement these changes. These proposed changes come at perfect timing as an aging population is putting a heavier demand on health care worldwide. CSOFT International has years of experience as well as mature processes in place to help pharmaceutical companies expand their operations into China. The CSOFT Life Sciences Business Unit (Medl10n) leads the way in providing the highest measurable quality language services to this demanding industry. We understand the industry business and regulatory requirements. With CSOFT, you can be confident that your brand, message and content will be received by your target audience the way you had intended.